Fifteen-year-old Ashley Asher has spent half of her life living in fear. Her stepfather has been sexually abusing her for years, but her mother doesn’t believe her. After his latest assault lands her in the emergency room, Child Protective Services finally removes Ashley from her home and sends her to live with the father she barely remembers and his new family. Her new life in Patience, Texas, is much better. She’s in therapy to deal with Post-traumatic Stress Disorder and is trying to make her way in a new high school. She’s getting used to living with her father, stepmother, and stepbrother, and she’s made new friends in the summer course taught by her stepmother, Bev. She even joins the track team at the urging of her new friend, Z. Z. But Ashley is so traumatized by her past that she sometimes scratches herself until she bleeds and sleeps in her armoire, even though she knows she’s safe now. Worse, when her stepfather is finally put on trial for hurting her, she learns that truth and justice don’t always go together. Will Ashley adjust to a better life? Will she trust enough to date Josh, the cute guy on her track team who likes her? YA readers will be caught up in the heart-pounding story of a damaged girl trying to heal herself and get on with the rest of her life. How do you approach the research process for your story? What resources did you turn to? What roadblocks did you run into? How did you overcome them? What was your greatest coup, and how did it inform your manuscript? Hope in Patience is the story of fifteen-year-old Ashley Nicole Asher, who is removed from her mother’s home after being sexually abused by her stepfather from age eight. Ashley is placed with her biological father, David, who lives with his wife and son in the little East Texas town of Patience. I approached the research process by outlining the the events and character development I wanted to use to move the story forward. Ashley’s experience is, of course, the foundation of the story. 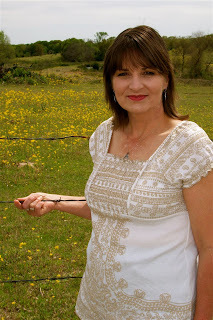 I am a survivor of childhood sexual abuse, and it was by going through therapy and recovery that I began writing short stories and poems–sort of a way of processing my own grief, disbelief, and outrage at what had happened in my life. A couple years into therapy, my therapist suggested that I try writing a novel. It took me about four months of continually getting pulled back into my own head and writing, “Why, why, why?”—basically spinning in circles– before I decided to try imagining the experience of recovery through the eyes of a teenage girl who starts her life over in a new family with the father she never knew. From that point, Ashley’s story grew and became much less about the abuse than about hope and the strength that friends and family can provide. A roadblock I ran into was fear: Ashley’s story is fiction, but I was inspired in many ways by my having Post-traumatic Stress Disorder because of some very intense experiences. Drawing on that history was draining, and after writing scenes that forced me to do that, I had to leave the story alone for a few days to a week in order to let those feelings to calm down again. Then I could go back and read what I had written more objectively. As far as research beyond my own experiences as a survivor and participant in therapy, I double-checked aspects of the therapist-patient relationship I was unsure of. I’m not a teenager, so when I wasn’t sure about a scene, for example, between Ashley and her therapist, Dr. Matt, I’d talk it over with my own therapist in order to see if the way I had written it was really the way a psychologist would talk to a teen girl. Another area of research was what it’s like to be a gay teen whose parents are non-accepting of it. One of Ashley’s friends is K.C., a newcomer to Patience who is struggling with her sexuality. I talked to one of my former students. She gave me a lot of insight into what it was like for her to begin to embrace who she is while in high school, especially in a small town. Other elements of the story that required research were the Family unit in Human Ecology class. I really like that course name—Human Ecology—instead of Family and Consumer Sciences. I drew on several online Family and Consumer Science lesson plans to construct the lessons that the Human Ecology teacher, Ms. Manos, uses. For Ashley’s American history class, her teacher, Coach Griffin, is a World War II enthusiast—and I used an actual history book and a couple of other books about the war to make his lessons authentic, as well as viewing WWII propaganda films on YouTube. 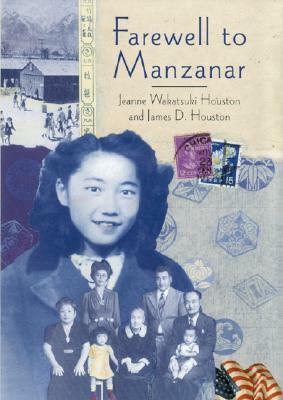 While Coach Griffin was teaching about WWII from his perspective, Ashley’s stepmom, Bev, who is an English teacher, was leading a study of the WWII memoir, Farewell to Manzanar by Jeanne Wakatsuki Houston and James Houston (Houghton Mifflin, 2002). I was inspired to include Dwight Okita’s poem, “In Response to Executive Order 1066” (Greenfield Review Press,1982)—a poem he wrote about his own mother’s experience of being a Japanese American girl who was sent to an internment camp with her family during WWII. I wrote to Dwight for permission to include the poem in the text, and he graciously allowed me to do so. One “coup” was getting permission from the Densho: The Japanese-American Legacy Project, to paraphrase the video segment of Dennis Bambauer, who was American born and only six years old when he, an orphan, was sent to an internment camp, because the U.S. Government was afraid he was helping the Japanese military. Another “coup” was when one of my idols, a Texas singer-songwriter, Tom Russell, gave me permission to use a line or two of lyrics from one of my favorite songs of his, “It Goes Away” (2006). Those lyrics gave me a lot of comfort during the worst episodes of my recovery from childhood sexual abuse, and I am grateful that Mr. Russell allowed me to include them to give Ashley comfort, too. As a teacher-author, how do your two identities inform one another? What about being a teacher has been a blessing to your writing? I’m lucky because I get to draw on both those identities to write Ashley’s story. Ashley’s stepmom, Beverly, is an English teacher at Patience High School. 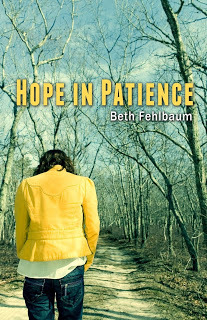 My friends who read Hope in Patience say, “Should I call you Bev or Beth?” then they laugh. It’s true, Bev Asher and I are very similar personalities, although she’s braver than I am about face-to-face confrontation. I’m in my twelfth year of teaching. For the first seven years, I taught seventh and eighth grade; now I teach fifth grade Language Arts in a bilingual education program in East Texas. My degree is in English/Secondary Education, and I have always written a lot of my own teaching units, especially cross-curricular units, so it was easy for me to create a unit that combined Farewell to Manzanar in Bev’s English class and Coach Griffin’s World War II study. I gathered the Human Ecology class resources and used a lesson plan book to sketch out the timeline for all three classes, making sure the events in the classes wove through the plot as seamlessly as possible. If I had not had the extensive experience in planning out six weeks of learning at a time, I think it would have been a lot more difficult for me. Also, the “drill and kill” workbook that Bev is forced to use to prep the kids for the state standardized test is all-too-familiar to me, and I’m sure it will be the same for other teachers who read Hope in Patience. I had fun with the relationship between Marvella, the school secretary, and Mr. Walden, the principal. Marvella torments Mr. Walden by hiding his Blackberry and calling in anonymous tips to the local newspaper when Mr. Walden is being especially obnoxious. As far as day-to-day life as a teacher and author, my school family is very supportive of my work as a writer. This works out to my advantage, actually, because it helps me keep those two parts of my life separate. I find it hard to write books during the school year since I am absolutely “done” when I get home at the end of the day, and weekends are for recuperating—so I work full-time writing my current novel—Truth in Patience, a continuation of Ashley’s story—during the summer. Having summers off and holiday weeks during the year is a big help to teachers who are also authors. Event Report: Thank you, Kalamazoo!